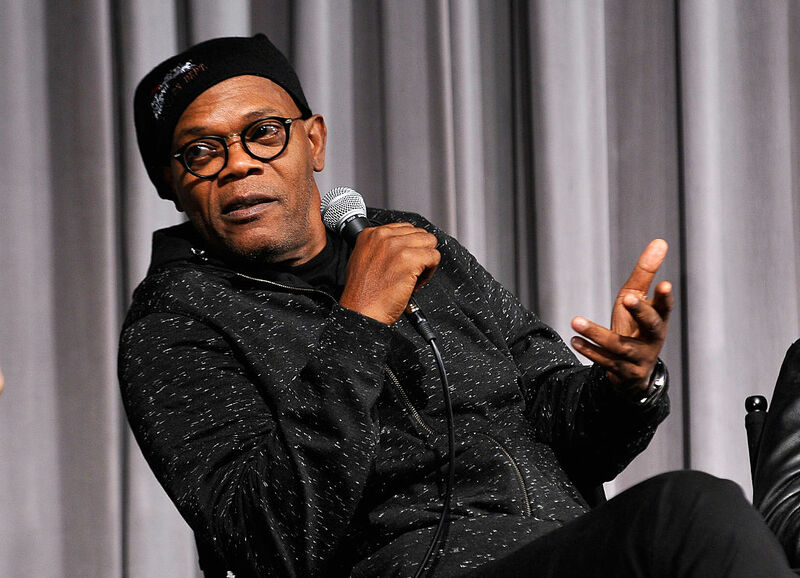 Samuel L. Jackson's career as a Hollywood movie star is probably unique in several ways. For one, he's managed to combine an insanely prolific work schedule (it's not uncommon to hear the joke that he's in every movie ever made) with giant blockbuster hits. And now, the numbers have officially been crunched, and The Hollywood Reporter has dubbed him "The $13 Billion Man" for the unparalleled total worldwide box office gross for his some 120 films. Due to some strange quirk in reality, Jackson was appearing in huge movies before he was even a star, as anyone who's gone back and watched Jurassic Park or GoodFellas in the last couple decades has discovered for themselves. But the real killer app, commercially speaking, in Jackson's career has been his role in the so-called Marvel Cinematic Universe that he helped kick off in a post-credits scene in 2008's Iron Man as Nick Fury – a role that he's continued to play in both cameos and larger capacities in fistfuls of these unbelievably successful films. Incredibly, nine of the ten most successful movies of the last decade have been Marvel movies, and Jackson is in most of them, with no sign of slowing down. That's why that $13.3 billion figure will soon be in the rear view mirror for the actor, even at 70 years old – and his current project, Glass, in which he has the titular role, is already ticking the clock up even more. Overall, Jackson has averaged about five movies a year for his 30-year career in the movies, not just appearing in Marvel and Star Wars movies but working with some of the best and/or most famous directors of all time, from Spike Lee to Quentin Tarantino. And his impact on popular culture can be measured in more than just dollars. A recent study from Applied Network Science named Jackson as "the most influential actor of all time," using a complex algorithm to measure the pop culture influence of the world's biggest stars.